Charles Bronson (November 3, 1921 – August 30, 2003) would've been 96 today. Posting one of his movies as tribute. 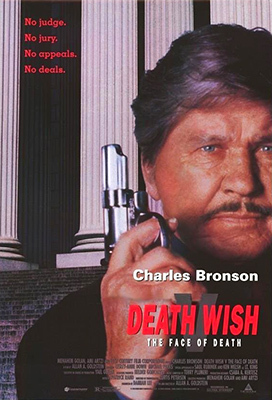 Plot: It features Charles Bronson, who reprises his role as Paul Kersey in his final theatrical starring role. In the film, Kersey battles mobsters as he tries to protect his girlfriend (played by Lesley-Anne Down) from her ex-husband, mob boss Tommy O'Shea (Michael Parks).